One of my favorite things is when Conner calls and says “Hey, I’m on my way home… Let’s do lunch”. Sometimes it is fun to break out of the daily routine and spice it up with a little lunch break. We live in suburbia where you wait for an hour and a half to eat at Outback. Don’t get me wrong, I Iove me some Bloomin’ Onion (well a bite of one anyways) but I got frustrated very quickly that there were not enough local places to visit in our new neighborhood. Luckily, 12 months after moving in, I am singing a different tune. Suwanee has some really great local restaurants that are perfect for breakfast, a quick lunch, or a leisure dinner. Here are a few of our favorites. Maybe it will inspire you to get out and explore your neighborhood because you never know what hidden gems you may find that are not a part of your typical chain franchises. 1. Downtown Lawrenceville: This quaint little downtown square is filled with local favorites. 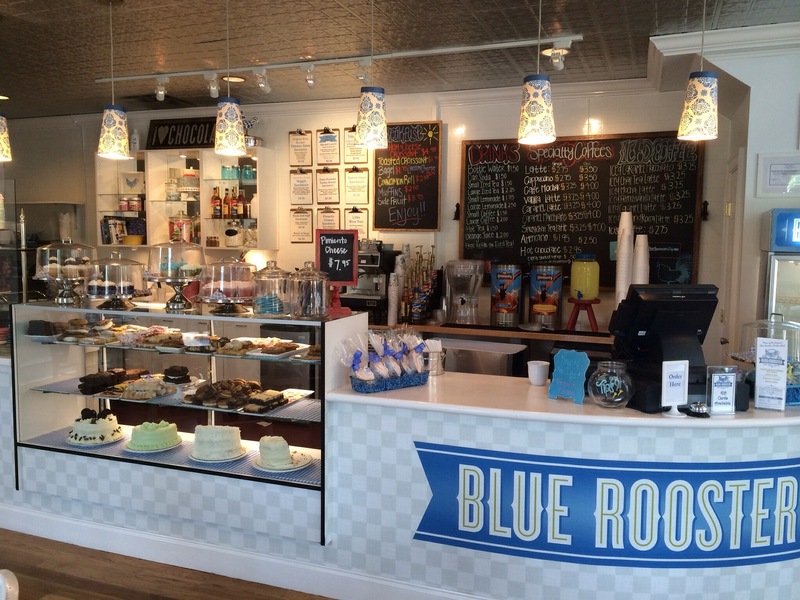 There are quite a few tasty bakeries like the Blue Rooster Cafe that has the most delicious veggie sandwich. A few of the dinner options on the square include Local Republic which is a great farm to table restaurant. For the atmosphere, we love McRay’s Tavern because of the rooftop patio. 2. Friends Grill: This local favorite has the best black bean burger. I am proud of myself for even typing that. I used to not branch out in my meal choices so the fact that I even tasted that burger amazes me, I owe that all to Conner because he forces me to try new things. 3. Hammerheads: We went here one night per a recommendation from our neighbor. It did not disappoint. We had the fish and home made salad dressing which was de-licious! 4. 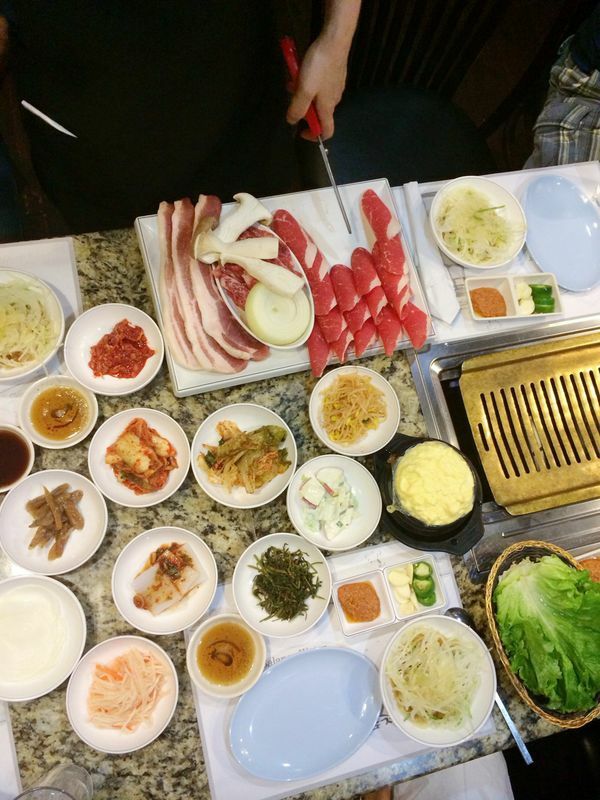 Korean BBQ: Y’all, I can’t even believe I tried this place! Some friends took us there, ordered for us, and we waited to experience the hibachi style dining. I was fully prepared to excuse myself to the bathroom for an extended period of time so that I could sneak next door to eat Chick-fil-A. Luckily, the food was surprisingly tasty and the experience was even entertaining. I can’t say I would go back without my friends, though, because the menus were all foreign. It sure did taste good, though! It is amazing the places you will find when you branch out from the typical chains in suburbia. How do you discover off-the-beaten-path restaurants in your neighborhood? 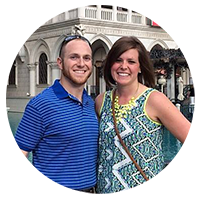 This entry was posted in Married Life and tagged lawrenceville, Suburbia, suwanee. Bookmark the permalink. agree completely – find the local places and eschew the chains! I don’t know Hotlanta suburbs at all, so I had to lokk up Suwanee – speaking of local: are y’all going to the food trucks? I’m not really sure any of the items will fit your diet, but it sure is local fun. Glad you looked up Suwanee! We like to split a dish from the food trucks. It is a way to still enjoy the food trucks without “breaking the bank” in terms of unhealthy food items.